HubBub's Cold Brew Trikes prepare for a wild ride. Local caffeine supplier HubBub Coffee has a new way to bring coffee to customers and it debuts Sunday, July 12. 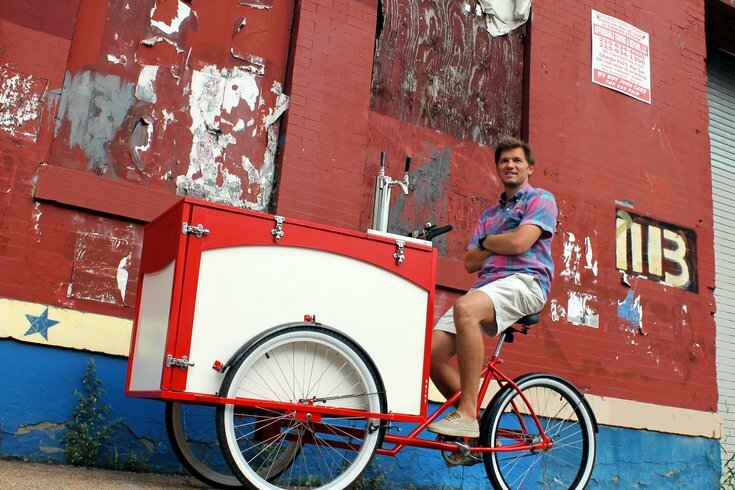 Going back to its roots as a mobile coffee truck, HubBub will debut a mini fleet of two Cold Brew Trikes to deliver the goods to Philadelphians all over the city. For their first day on the road, they'll take a "Trike Trek" through the city. The Trikes each have bright red cold boxes holding a keg of cold brew coffee, which means they'll pour it on draft. Both Trikes will depart from HubBub's 38th and Spruce location at 11 a.m. for a one-hour ride across Philly. The route takes the trikes through University City, South Street and Rittenhouse but to find their specific locations you'll have to follow #HubBubTrikeTrek on Twitter or Instagram. If you miss them this Sunday, you can find the Cold Brew Trikes outside of Yard's Brewery on Saturdays and visiting select neighborhoods every second and fourth Tuesday throughout the summer.